What is it they say? You should never meet your Hero? Well, I couldn’t turn down an opportunity to meet mine, could I? I’m Chloe Jones, a single parent to the gorgeous Danny – and I have the most immense crush on the TV actor Ethan Blake. Ever since I first saw him on my TV screen four years ago, he has become my ideal man. Well, if you’d seen some of the other specimens I’ve met, you’d understand why! To me, Ethan is the perfect man. He’s tall, dark, handsome and very talented. I know I don’t know him personally but from what I’ve seen of him and read about him, he’s the perfect Hero. I think real life can let you down sometimes can’t it and there is nothing wrong with a bit of escapism. People have said to me that sometime meeting your Hero can be a bit of a disappointment. That they might not match up to your expectations. But I’m sure that isn’t the case with Ethan…. 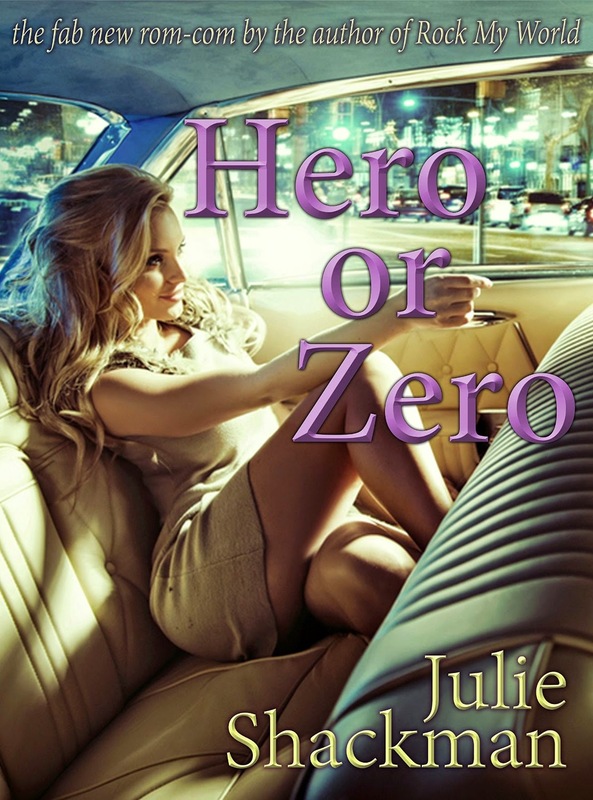 Hero or Zero by Julie Shackman is a contemporary romance from Not So Noble Books, released September 27 2014.